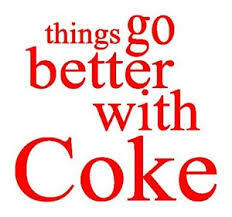 Things Go Better With Coke! 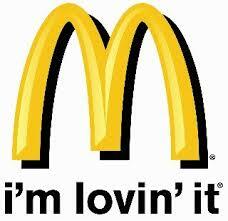 McDonalds – I’m Lovin’ It! Don’t get me wrong: depression is a bugger of a thing, and perinatal mood disorders are especially poorly timed. Looking after a pregnancy/baby is tricky enough without tossing in anxiety and/or depression. 6 in 7 new mothers and 19 in 20 new fathers will not experience perinatal depression. Are there any other gambles that give you better odds? There are a range of treatment options: it’s not a matter of “one size fits all”. If required, there are some medications that can be used in pregnancy and/or breastfeeding. Recovery rates for postnatal depression are very good. Some places have access to specialist perinatal mental health clinicians. Mental health clinicians are not interested in stealing the baby. In fact, mental health clinicians seem quite pleased with themselves when they get to see parents and infants connecting and communicating with each other. If attachment between parent and baby does not happen as easily as expected (this happens a fair bit with anxiety and/or depression), there are video guides to help, for example: Baby Cues Also, in some towns and cities (especially those with a perinatal and infant mental health nurse), there are clinical staff who can help with this communication/attachment/bonding stuff too. During the week a couple of new mums declined referral to see a nurse (me) from the consultation liaison psychiatry service because they had preconceptions about how negative the experience would be. It’s not absolutely necessary for every parent to see a mental health specialist, of course, but I think we (that’s “we the health professionals”) should start fishing-around for ways to better describe the good news stories about perinatal mental health. If Coca-Cola and McDonalds can convey a sense of fun and optimism out of the products they sell, surely we can convey a sense of fun and optimism out of the services we provide. We have something that’s much better than the offerings of either Coca-Cola or McDonalds, so let’s reorientate the language and recalibrate expectations by using positive language. PIMH for a healthy head-start! What are your ideas for upbeat slogans and messages? Please add them in the comments section below. This entry was posted in Blog and tagged anxiety, consultation liaison, depression, Perinatal Mental Health, postnatal, postpartum, puerperal on 25 January 2014 by Paul McNamara.